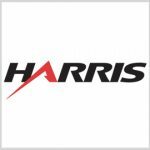 Melbourne, Florida-based Harris Corp. (NYSE: HRS) has confirmed one appointment to the board of directors and the nomination of a second as part of the communications technology maker’s cooperation agreement with activist hedge fund Jana Partners. Barry Rosenstein’s Jana disclosed its position as one of Harris’ 10 largest shareholders in August and both agreed to two mutually-agreed board appointments. Harris said Wednesday James Albaugh, a 37-year veteran of Boeing (NYSE: BA) and currently senior adviser at financial services company Perella Weinberg Partners, has joined the board of directors. Honeywell (NYSE: HON) Vice Chairman Roger Fradin has also been nominated to serve on the communications technology maker’s board, which will be voted on at the company’s annual shareholders meeting Oct. 28. Albaugh previously worked as senior adviser at The Blackstone Group from December 2012 to July 2016 after he held roles as president and CEO of Boeing’s commercial airplane, integrated defense systems and space and communications businesses. He also currently serves as a director at American Airlines Group (Nasdaq: AAL) and B/E Aerospace (Nasdaq: BEAV) as well as chairman of the National Aeronautic Association. Fradin joined Honeywell in 2000 through the Morris Plains, New Jersey-based industrial conglomerate’s acquisition of Pittway Corp., where he spearheaded an entrepreneurial team that helped drive Pittway’s expansion efforts in the electronic security and fire alarm market. He also previously served as president and CEO of the automation and controls business organization at Honeywell and is currently a director at Pitney Bowes (NYSE: PBI) and MSC Industrial Direct (NYSE: MSM).